3) You can’t create object of interface. Before we go in detail, lets define important terms related to Object Oriented Programming. Class: This is a programmer-defined datatype, which includes local functions as well as local data. You can think of a class as a template for making many instances of the same kind (or class) of object. Object: An individual instance of the data structure defined by a class. You define a class once and then make many objects that belong to it. Objects are also known as instance. Member Variable: These are the variables defined inside a class. This data will be invisible to the outside of the class and can be accessed via member functions. These variables are called attribute of the object once an object is created. Member function: These are the function defined inside a class and are used to access object data. Inheritance: When a class is defined by inheriting existing function of a parent class then it is called inheritance. Here child class will inherit all or few member functions and variables of a parent class. Parent class: A class that is inherited from by another class. This is also called a base class or super class. Child Class: A class that inherits from another class. This is also called a subclass or derived class. Polymorphism: This is an object oriented concept where same function can be used for different purposes. For example function name will remain same but it make take different number of arguments and can do different task. Overloading: a type of polymorphism in which some or all of operators have different implementations depending on the types of their arguments. Similarly functions can also be overloaded with different implementation. Data Abstraction: Any representation of data in which the implementation details are hidden (abstracted). Encapsulation: refers to a concept where we encapsulate all the data and member functions together to form an object. Constructor: refers to a special type of function which will be called automatically whenever there is an object formation from a class. Destructors: refers to a special type of function which will be called automatically whenever an object is deleted or goes out of scope. The special form class, followed by the name of the class that you want to define. A set of braces enclosing any number of variable declarations and function definitions. Variable declarations start with the special form var, which is followed by a conventional $ variable name; they may also have an initial assignment to a constant value. Function definitions look much like standalone PHP functions but are local to the class and will be used to set and access object data. The variable $this is a special variable and it refers to the same object ie. itself. Once you defined your class, then you can create as many objects as you like of that class type. Following is an example of how to create object using new operator. Here we have created three objects and these objects are independent of each other and they will have their existance separately. Next we will see how to access member function and process member variables. After creating your objects, you will be able to call member functions related to that object. One member function will be able to process member variable of related object only. Following example shows how to set title and prices for the three books by calling member functions. Constructor Functions are special type of functions which are called automatically whenever an object is created. So we take full advantage of this behaviour, by initializing many things through constructor functions. PHP provides a special function called __construct() to define a constructor. You can pass as many as arguments you like into the constructor function. Following example will create one constructor for Books class and it will initialize price and title for the book at the time of object creation. Like a constructor function you can define a destructor function using function __destruct(). You can release all the resourceses with-in a destructor. Automatically has all the member variable declarations of the parent class. Automatically has all the same member functions as the parent, which (by default) will work the same way as those functions do in the parent. Following example inherit Books class and adds more functionality based on the requirement. Now apart from inherited functions, class Novel keeps two additional member functions. In the follwoing example getPrice and getTitle functions are overriden to retrun some values. Till now we have seen all members as public members. If you wish to limit the accessibility of the members of a class then you define class members as private or protected. By designating a member private, you limit its accessibility to the class in which it is declared. The private member cannot be referred to from classes that inherit the class in which it is declared and cannot be accessed from outside the class. A class member can be made private by using private keyword infront of the member. When MyClass class is inherited by another class using extends, myPublicFunction() will be visible, as will $driver. The extending class will not have any awareness of or access to myPrivateFunction and $car, because they are declared private. A protected property or method is accessible in the class in which it is declared, as well as in classes that extend that class. Protected members are not available outside of those two kinds of classes. A class member can be made protected by using protected keyword infront of the member. Interfaces are defined to provide a common function names to the implementors. Different implementors can implement those interfaces according to theri requirements. You can say, interfaces are skeltons which are implemented by developers. A constant is somewhat like a variable, in that it holds a value, but is really more like a function because a constant is immutable. Once you declare a constant, it does not change. In this class, requiredMargin is a constant. It is declared with the keyword const, and under no circumstances can it be changed to anything other than 1.7. Note that the constant’s name does not have a leading $, as variable names do. 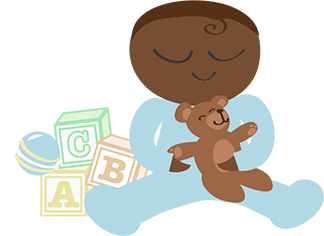 When inheriting from an abstract class, all methods marked abstract in the parent’s class declaration must be defined by the child; additionally, these methods must be defined with the same visibillity. Note that function definitions inside an abstract class must also be preceded by the keyword abstract. It is not legal to have abstract function definitions inside a non-abstract class. Declaring class members or methods as static makes them accessible without needing an instantiation of the class. A member declared as static can not be accessed with an instantiated class object (though a static method can). In this example, we have a parent class (Name), which has a two-argument constructor, and a subclass (NameSub1), which has a three-argument constructor. The constructor of NameSub1 functions by calling its parent constructor explicitly using the :: syntax (passing two of its arguments along) and then setting an additional field. Similarly, NameSub1 defines its nonconstructor toString() function in terms of the parent function that it overrides. NOTE: A constructor can be defined with the same name as the name of a class. It is defined in above example. 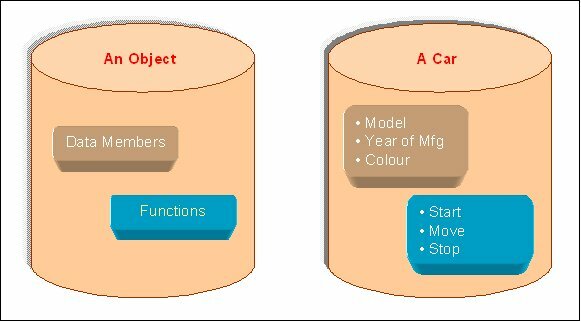 Object is the basic unit of object-oriented programming. Objects are identified by its unique name. An object represents a particular instance of a class. There can be more than one instance of an object. Each instance of an object can hold its own relevant data. An Object is a collection of data members and associated member functions also known as methods. For example consider we have a Class of Cars under which Santro Xing, Alto and WaganR represents individual Objects. In this context each Car Object will have its own, Model, Year of Manufacture, Colour, Top Speed, Engine Power etc., which form Properties of the Car class and the associated actions i.e., object functions like Start, Move, Stop form the Methods of Car Class. No memory is allocated when a class is created. Memory is allocated only when an object is created, i.e., when an instance of a class is created. Data Abstraction increases the power of programming language by creating user defined data types. Data Abstraction also represents the needed information in the program without presenting the details. Polymorphism allows routines to use variables of different types at different times. An operator or function can be given different meanings or functions. Polymorphism refers to a single function or multi-functioning operator performing in different ways. Overloading is one type of Polymorphism. It allows an object to have different meanings, depending on its context. When an exiting operator or function begins to operate on new data type, or class, it is understood to be overloaded. This term refers to the ability for multiple programmers to use the same written and debugged existing class of data. This is a time saving device and adds code efficiency to the language. Additionally, the programmer can incorporate new features to the existing class, further developing the application and allowing users to achieve increased performance. This time saving feature optimizes code, helps in gaining secured applications and facilitates easier maintenance on the application.